﻿ Power systems for distribution SS – KONČAR Elektronika i informatika d.d. 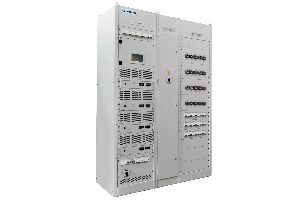 For reliable operation of protection devices, monitoring and control of the substations quality uninterruptible DC voltage is necessary. 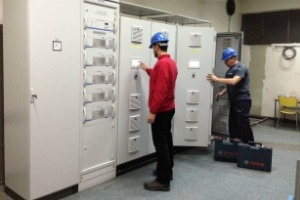 It can only be ensured by power supply system which is appropriately and precisely designed, professionally manufactured, competently tested and professionally implemented in the facility. For the manufacturing of such supply systems KONČAR uses only the highest quality components of renowned manufacturers (battery, special circuit breakers for DC distribution etc.). The numerous positive references from different power facilities confirm the soundness of the approach and practices. Two basic types of power supply: KONIS-B and KONIS-P will satisfy the requirements of each of distribution substations, ensuring perfectly stabile and reliable DC voltage. In older transformer stations due to deterioration, their life-time and the various reconstructions and adaptations, power supply quality often does not meet the minimum criteria of reliability, endangering the proper operation and security of the entire facility. In such cases it is necessary to examine the actual state of power supply and implement appropriate reconstruction. 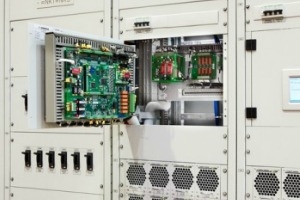 Often it is necessary to redo the design and reconstruct a complete power supply system. It is a very delicate task, which requires a high skill and experience. KONČAR successfully reconstructed many substations, but because of the scope and complexity of the activities, the most important references are impeccable reconstruction of the largest hydro power plants and thermal power plants in Croatia.